عندما تزور واناكا, ستشعر أنك في بيتك في Wanaka Luxury Apartments الذي يقدم لك إقامة متميزة و خدمات عظيمة. يسهل الوصول إلى هذا الفندق ذو 5 نجوم من المطار، فهو يبعد عنه مسافة 10 km فقط. كما يمكن الوصول بسهولة إلى ‪Beacon Point Walk‬, The Artist's Corner, The Picture Lounge. 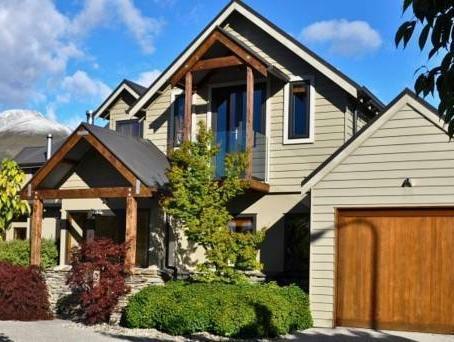 يقدم Wanaka Luxury Apartments خدمات لا غبار عليها وكل أشكال اللياقة وحسن الضيافة اللازمة لإسعاد ضيوفه. تتضمن الميزات الرئيسية في هذا الفندق: واي فاي في المناطق العامة, صف السيارات, تأجير دراجات هوائية. بالإضافة لهذا,تتضمن كل غرف الضيوف مجموعة واسعة من وسائل الراحة . بعض الغرف توفر حتى تلفزيون بشاشة مسطحة, اتصال لاسلكي بالإنترنت, حوض الاسترخاء, غرف لغير المدخنين, تدفئة لإرضاء أكثر الضيوف تطلباً. يقدم الفندق العديد من الفرص للاستجمام كمثل حوض استحمام ساخن, حمام سباحة خارجي, سبا, تدليك, حديقة. مهما كانت دواعي سفرك فإن Wanaka Luxury Apartments هو خيار ممتاز لإقامتك في واناكا. this is a really wonderful apartments, clean and near the lake (a little path to the lake). all the facilities are useful (coffee machine, dish washer, fireplace, washing machine, four oven...）。if there is a note saying how to use those facilities it will be better. Really nice apartments - warm, gas fire, nice lounge, well equipped kitchen, really comfortable bedroom and great bathroom - nice bath and shower after skiing... Close to the town. We really wanted to extend our stay, however was fully booked. Loved loved loved this place, my partner and I booked the 1 bedroom apartment and it was just perfect, had all requirements for cooking, the room service included doing dishes for you and the apartment itself had a warm, comfortable feel to it, really felt like we were in a snow town. Highly recommend staying here and will definitely come back. It is totally worth the price to stay in a villa like room. This is one of the best hotels we are staying in NZ. Very lovely design. Fireplace good. Views are wonderful. Close to the lake. A small river in front of door. Highly highly recommended. Price also not high. We did a massive road trip across the North and South Island and this was one of our favourite places we stayed! Great apartments, plenty of room, fantastic facilities and good value for money. We did stay in the low season so imagine it would rise in price during winter but we loved it! We stayed here for two nights with my (elderly) parents. The apartments are set within a residential street within walking distance (through a lovely park) to town and to the lake. We stayed in a 2 bedroom, 2 bathroom apartment (really more of a 2 storey house) which was extremely clean and comfortable. It had everything we needed for our stay and had a real homely feel. We all loved coming back after exploring the beautiful surrounding lakes and mountains to sit in front of the fire with a good book! Would definitely stay here again and Wanaka and this apartment was one of my parents favourite spots in our trip. Resort type of apartments, all in room facilities n consumables are good quality. There is a easy to use fireplace, my familay all love it. We used kitchen to cook while staff provided daily housekeeping service to clean everything (thought we were supposed to do it). Only thing is it's 10 minutes walk from town center but for self driving that's no problem at all. I should have booked one day more there, would book again even if it's 50% more expensive next time. We two coupled lived in a two-bedrooms apartment for two nights. 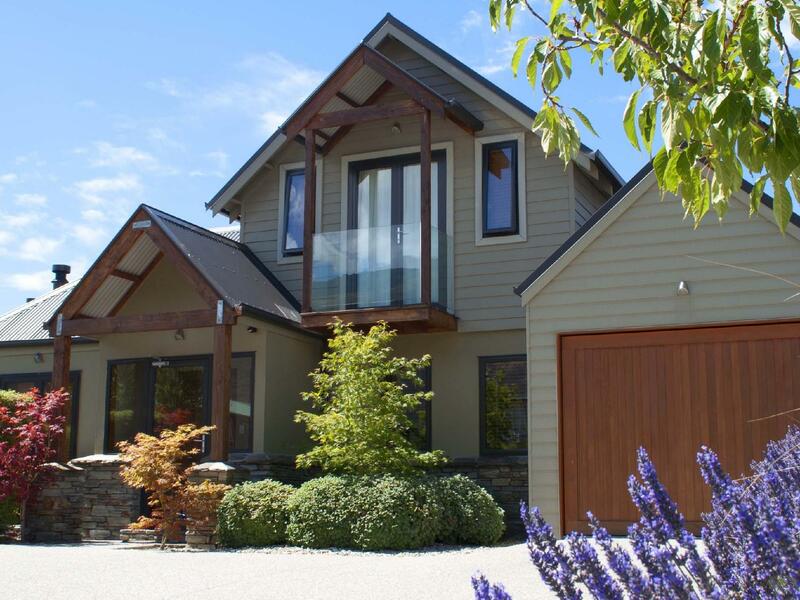 The townhouse located on a quiet street near late Wanaka, the neighbourhood was good and seemed everyone had a yacht...living room and kitchen on the first floor, two en-suite bedrooms on second floor. We had our own wash machine, dryer, heated towel rack, dish-washing machine and un-limited free wifi. The beds were clean and soft, one bedroom had balcony with views of snow mountains and lake. Decoration of the house was warm and cozy, and had the biggest TV during our trip in NZ. The house was cleaned each day. I was warm treated at the reception, they provided clear instruction and a well-painted map for the house location, and free bicycles, free spa and swimming pool (only open in summer). Everything was perfect during our stay. Definitely will recommend this apartment to our friends. The owners have thought of everything a traveller would need and have included it in their purpose built B & B rooms. We had a wonderful visit, the rooms have spectacular outlooks and Jo and Pete were terrific hosts. Will definitely visit again. The WLA are very spacious with nice kitchen amenities. The decor is comfortable, attractive & clean. The walking distance to town is not "short" as advertised. Elderly & very young will have potential trouble. WLA is a great value is you want extra living space. We had a lovely stay at the apartments. Beautifully clean, warm with a spectacular bathroom. Underfloor heating in the bathroom was amazing after a day on the slopes skiing. The only downfall was the distance from town. A little too far to walk in the cold - may be ok in summer. Probably a 30 min walk into town. Very accessible if you have a car though. No views from the rooms either. Quite comfortable but noise from next door was disruptive as was that coming from outdoor spa. Heated floor in bathroom..heated towel rail & spa bath great as was shower. Not far from town & nice view of snow capped mountains. Lounge was cosy & cooking facilities a plus although an oven would be handy. Overall a good place to stay. Actually you cant see the TEKAPO lake from your own balcony, living room and kitchen is on second floor, while bedrooms are on the first floor, quite an strange arrangement. Good location and facilities. House keep at 5 pm, please do it a little bit earlier. Otherwise, a good choice in Lake Tekapo. This was unexpected. Gorgeous home, well appointed, surprising location. We thought we were lost in a beautiful suburban neighborhood when we came across our apartment. That's not the right name for these facilities. They are more like a town-home or a condo in the states. Absolutely beautiful inside-updated, clean, comfortable. I don't really know what else you could possibly want. miele coffee machine, connecting room, comfortable beds. the apartments were comfortable, clean and perfect for three children (15, 13, 12) and for sharing meal times with another family with young children who were in an apartment close to us. great kitchen facilities and close to lake, restaurants and other shopping areas. We took the three bedroom option so it was really spacious as it is made up of a 2 bedroom apartment ( 2 stories) and a big one bedroom apartment. So our two older teens hangout in the one bedroom and the two young ones stayed with us in the 2 bedroom. It was wonderful as we really felt at home. Well furnished and the surrounding is so beautiful. The Apartment has everything you would want and more including a jacuzzi bath! The place was absolutely stunning, newly built and very nicely decorated. Had everything you would want/need and more.. flat screen tv, fire place, jacuzzi bath, kitchen etc.. it was so nice we wish we'd had more time to enjoy it, we'll definitely be going back! The office is only manned between certain hours, we arrived after it closed but luckily the keys and a welcome letter had been left for us. (We met the friendly staff/owner the next day on check out.) They also have a number of dvds etc you can hire from the main office for those staying longer. The apartments are slightly away from the 'centre' of Wanaka (ie not close enough to walk to restaurants) but a close 5 min car drive away. 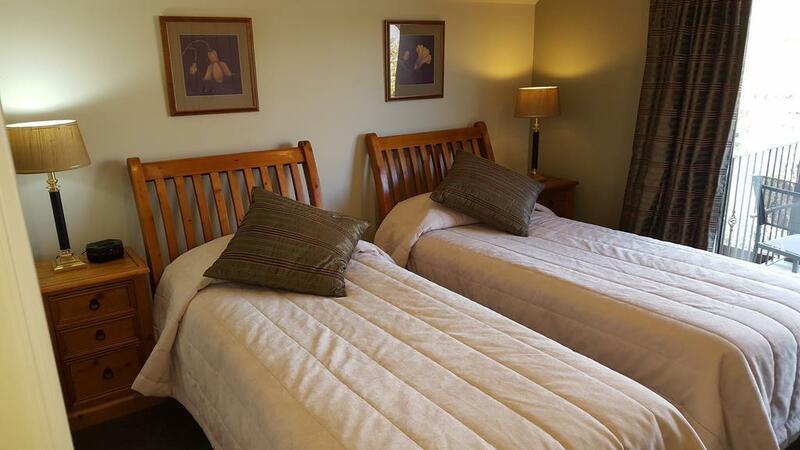 The apartment was very clean and spacious with cooking facilities as most places to eat in Wanaka are quite expensive. The bed was very comfortable and the spa bath is great after being out all day. It's in a quiet area with minimal noise. We would definitely recommend staying there. No air conditioner in summer. Too hot in room. Everything else is good. Short drive from town center. Good solid quality villas. Spacious and new.